Cognitive enhancers (CE) such as methylphenidate, amphetamines and modafinil are becoming more commonly used in academic settings and for purposes beyond their prescribed indications. The most frequently reported reasons for use of CE amongst students are to improve concentration, increase alertness or stay awake longer. Whether the motivation to use CE is linked to strategies for learning amongst students has not been explored in the literature. This study, in a New Zealand university, investigated whether students’ learning strategies, motivation to learn and academic self-concept affected their decision to use CE. Students from the schools of pharmacy, nursing, medicine, law and accounting were invited to complete a paper-based questionnaire. In addition to collecting information on prevalence, motivation to use CE and demographic information, the questionnaire included components of the Motivated Strategies for Learning Questionnaire (MSLQ), namely intrinsic goal orientation, extrinsic goal orientation, task value, control of learning beliefs, self-efficacy, performance and test anxiety. The questionnaire also included the academic self-concept (ASC) measure. A binary logistic regression was conducted to explore differences between the attitudes and perceptions of those who had used CE and those who had not used CE. Ethics approval was obtained from the University of Auckland Human Ethics Committee and Monash University Human Research Ethics Committee. The response rate was 88.6% (442/499). Prevalence rate of CE was 6.6% in the university environment sampled. There were no significant differences in student motivation and learning strategies between users of CE and non-users. There was a difference between users of CE and non-users in how difficult they perceived their course of study (p = 0.034). 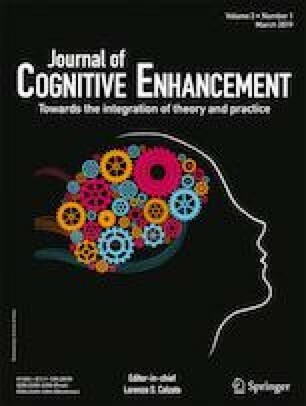 Students who had used CE had lower perceived difficulty mean scores compared to students who had not used CE (OR 0.572, 95% CI 0.342–0.959, p = .034). Female students perceived a higher level of difficulty in their courses than male students (M = 4.27, SD 1.01 vs M = 3.92, SD 0.94, p = 0.003). Females also recorded lower mean scores for task value than males (M = 4.52, SD 1.16 vs M = 5.23, SD 1.07, p = 0.047), and for self-efficacy for learning and performance (M = 4.84, SD 1.15 vs M = 5.19, SD 1.04, p = 0.012). This study did not find any link between students’ motivation and learning strategies and use of CE. More specifically, students’ goal orientation, task value, control of learning beliefs, self-efficacy, student self-concept, performance or test anxiety did not differ between use and non-use of CE. The only significant difference in academic self-concept was observed in the perceived difficulty of the course. Perceived difficulty may be an expected outcome as deciphered by those who use CE or alternatively may result from the use of CE. This finding warrants further investigation into the relationship between perceived difficulty and the decision to use CE and scope for further research to explore the impact of use of CE and its impact on learning and teaching strategies.